Nicole Ochoa graduated from National Academy of Beauty Arts and has been in the industry since 1997. She joined our team in January 2013. 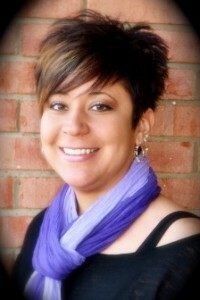 Nicole specializes in color and is a genius with special occasion hair! She loves being creative with hair and making guests feel good about themselves. Her go-to product is Kenra Hairspray, Kenra Taffy and Kenra Boosting Spray. Outside of work she spends time with friends and loves Ruiz’s Mexican Restaurant.